Reach more qualified home owners with the Razor Predictive Dialer . The Razor Predictive Dialer was developed for the mortgage industry and was quickly adapted to include loan modifications. Unlike the many other solutions for the loan modification industry, the Razor predictive dialer is an all-in-one solution. There are no up charges for added features as every feature that is added to the dialer comes standard. We do not believe in hidden charges. The loan modification industry is expanding as more home owners find themselves in need of help negotiating their current debts. Millions of people potentially qualify for a loan modification if they only knew it was a possibility. With the Razor Predictive Dialer you can call hundreds of home owners an hour; helping them deal with their loan company and increasing your revenues. Many companies, just like yours, in the loan modification industry are manually dialing their prospects. This is a long tedious process as you have to physically look down a list, type the phone number in by hand, wait for the phone to ring four even six times, and then, if you are lucky; someone answers the phone. The average time it takes to manually dial a lead is about sixty seconds. Additionally, most sales people are not machines and many times they will wait a minute or longer between calls. A predictive dialer dials more lines than there are sales agents because it knows many of those calls will never answer or they will be disconnected, fax machines, or answering machines. Many times our dialer will dial at a 2-to-1 ratio, calling twice as many numbers and dialing twice as fast; with no breaks in between calls. With a predictive dialer you can easily quadruple the number of leads you call, leading up to a 400% increase reaching home owners. If you could call four times the number of home owners, do you think you could close more deals? Not only does our system help you reach more potential clients, but it also assists you in the sales process by providing up to date information on your leads, customizable branched scripting, and advanced lead management tools. Every phone call made ends with a call disposition being set, identifying how the call went. Additionally, you can set your script up with qualifying questions and your sales agents can enter the answers directly into the script and they will be tracked with the lead. Virtually all the information you need to properly manage your leads and sales is available at your fingertips through our advanced reporting. With the added assistance our dialer provides we make it easy to close more sales. 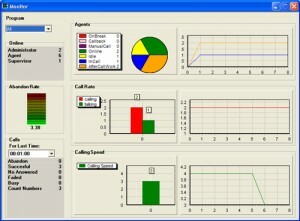 Our call center software is very robust with a multitude of easy-to-use features to monitor and manage your call center. You will be enabled to build lasting, quality relationships with your customers using the reporting features that are inherent to our system. Each and every call made is logged, your agents will have updated customer information available to them each time the speak to a customer, and if you choose; you can even record every conversation. Your agents will be able to serve your customers effectively and efficiently building customer loyalty through improved service. In loan modification calls, two things are vital – Predictive Dialing and Lead List Management. Our software is specifically tailored towards these needs. On of the most important features on the Razor dialer, which makes us unique, is the First Hello Technology. In the loan modification industry it is very, very important to make a good first impression. If your customer has to say “hello” two or more times before your agent hears them; they will identify the call as a telemarketing call and many times hang up before even speaking to the agent. Even if they decide to listen on, it starts the call off with a poor tone as the customer is most likely going to be apprehensive towards a sales call. 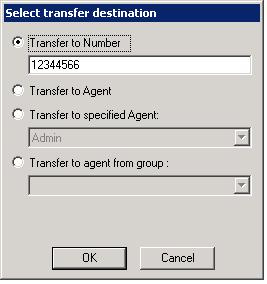 Most dialers have a one to four second delay before transferring the call to an Agent. 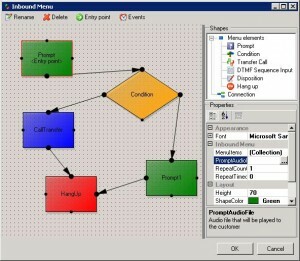 The reason for this is that the software has to identify whether the answer it receives is a live person or a recording. Most dialers accomplish this by listening to the tone length. If it hears a short tone such as “Hello?” it will transfer the call. If it hears a long tone such as “We cannot come to the phone right now…” it identifies it as an answering machine and moves onto the next call. The end result of this is that most agents will not hear the first “hello” when using other dialers. The Razor Predictive Dialer has a proprietary method of filtering out answering machines that does not rely on listening for the tone. Because of this, it instantaneously transfers the call as soon as it is answered to get the First Hello. If you hear the first hello, you will be able to answer the call with a natural flow giving a great first impression. If your lead list gives the first name of a husband AND wife, you can even hear the first hello to determine who you are talking to and give a natural lead into conversation such as “Hi, is this Sue?”. Each agent will be able to transfer calls, schedule appointments and callbacks, disposition calls as sales, not interested, no answer, or any variety of options you set it to. They can even play a pre-recorded message or song via an onboard mp3 player. 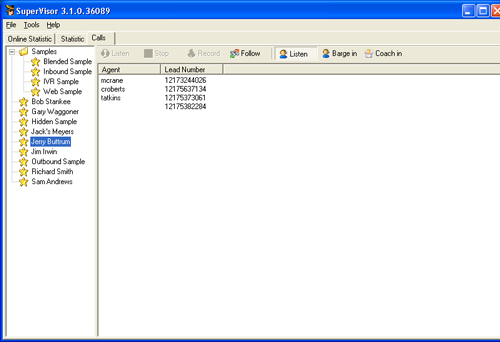 Each time a call connects to an agent, they will see a custom script that is populated with the lead information. This allows a natural flow of conversation as the agent has all the necessary information in one convenient location. Many times in the loan modification industry it is beneficial for a call center to have ‘first contact’ agents whose purpose is to contact cold leads, qualify them through a series of qualifying questions, and then transfer them to a loan officer to complete the transaction. These loan officers are sometimes called Verification Agents and our dialer has a specific feature on it for these type of agents. A telemarketer can qualify the lead and then do a hot transfer directly to the Verification Agent including all acquired data and voice so the VA can pick up right where the conversation left off. Branched Scripting is standard on the dialer and allows you to create very versatile sales scripts that handle objections with programmed rebuttals specific to the loan modification industry. Our dialer also uses branched scripting to create inbound and outbound IVR campaigns. The Razor predictive dialer pricing always includes installation, configuration, and technical training to insure your system is installed, operational, and your people know how to operate the dialer software. 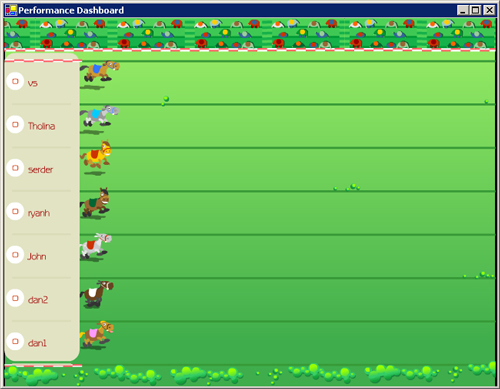 Our software includes a motivational application called The Horse Race. This feature is a great motivational tool that can be used by first contact agents or verification agents to create some friendly competition by tracking sales volume and displaying it for everyone to see who is in the lead. In the loan modification industry, time is money. The faster you can dial phone numbers, the more customers you will reach. Companies have reported up to a 400% increase in calling productivity using a predictive dialer. The more people you talk to, the higher the potential to make sales. In fact, many companies have reported that they have up to doubled their sales numbers just by reaching more leads faster. Our predictive dialer can be used with traditional analog phone lines, digital T1 lines, or even over the internet on a high speed broadband connection using a technology called Voice over Internet Protocol (VoIP). This means that you can be sure that our phone dialer will work with the services available in your area. 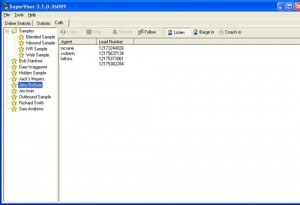 The Razor predictive dialer software is remote enabled, meaning you can access it from anywhere that you have a computer, broadband internet, and a headset with a microphone. You can make and take calls from home, on the road, and even manage the calling campaigns remotely. The ability to do Agent Monitoring is a very useful tool in loan modification call centers. This allows your supervisors to actually listen to live calls being made by your agents. Our software does this silently with no indication or noise made to notify your agents that they are being listened in on. 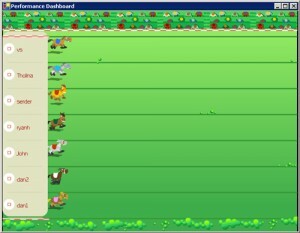 This allows you to catch them in their natural environment and listen to how their calls are really going. In addition to just listening, you can also Coach In, which allows you to speak to the agent, without the customer hearing you and also Barge In which puts you right in the middle of the call. This can be a deal-saving feature if you hear that a sale is slipping away from an agent. Administrators can bring up the Monitoring screen to get real-time statistics on the operation of the dialer and their agents’ activities. Call 1-877-812-7251 to get started today!